Victims of sexual abuse by Buddhist teachers will meet the Dalai Lama tomorrow and will give him a booklet with their testimonies. It contains several stories of ex-followers of Tibetan Buddhist Sogyal Lakar, with as his title Sogyal Rinpoche (“the precious one” [roughly “the Reverend”]). He has been accused since 1992 of all kinds of abuse of his students. The French justice department investigates the case and has made a request for legal assistance to the Netherlands to hear victims here. After six years of research by the French gendarmerie, the file has been at the office of the Montpellier prosecutor since the beginning of this year. According to French media, the prosecutor is conducting a judicial preliminary investigation. He told the NOS that he is “currently not communicating about this matter”. Apart from the French investigation, Sogyal’s international organization Rigpa hired a British law firm to investigate allegations. This happened after eight (ex-)followers had written in a letter last year that they were sick of Sogyal’s misbehaviour. The lama has abused some of his students “physically, sexually and emotionally” seriously, noted the hired firm Lewis Silkin last week. 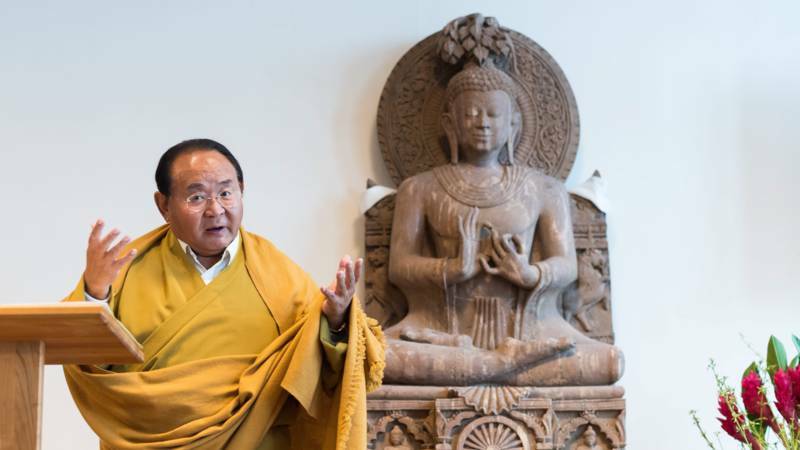 In a statement, several international Rigpa boards write that they “deeply regret and apologize for the pain experienced by former and current members”. Sogyal has written the bestseller The Tibetan Book of Living and Dying and after the Dalai Lama he is the best known Buddhist in the world. His headquarters Lérab Ling in southern France was opened in 2008 by the Dalai Lama. Rigpa has about 130 centers in 40 countries. From the beginning of the 1980s until last year, Sogyal traveled the world with his retinue to preside over retreats. In the Netherlands, the organization has 350 members and centers in Groningen and Amsterdam. Sogyal last presided over a retreat here in 2017. Sogyal is certainly not the only accused teacher. According to researcher Rob Hogendoorn, 20 of the 45 affiliated organizations of the Buddhist Union of the Netherlands (BUN) have been discredited because of accusations of sexual abuse by the spiritual leader(s). Oane Bijlsma, initiator of the request to meet the Dalai Lama, was heard by the Amsterdam vice squad on behalf of the French authorities. “They wanted to know everything, and the interview took 5.5 hours”, she says. From mid-2011, Bijlsma was a volunteer for a year at Rigpa. She says that Sogyal made all kinds of sexual allusions. So he came to her one evening with an image of a deity with a huge erection in his hand. “He grabbed the back of my head, pressed the image in my face and said, look, look! Then he started to laugh.” Because of this experience, Bijlsma left Rigpa. To others, much worse happened, tell ex-students. The report by the British law firm shows that several people from the group closest to Sogyal – his ‘inner circle’ – were beaten daily, some of them bloody. “I have heard convincing evidence that he used several followers as punching bags to vent his own frustrations and anger”, writes researcher Karen Baxter. In addition, she found evidence that Sogyal had beaten someone unconscious and someone sustained a concussion. 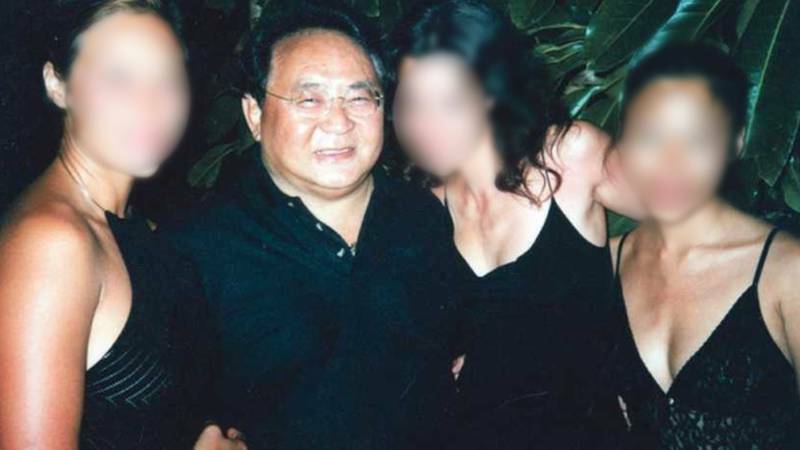 Sogyal used his position to “force, intimidate and manipulate young women to give him sexual favours”. They were also offered to other lamas that came by for sexual services, Baxter observes. These were all lessons on their path to enlightenment, their guru told them. Enlightenment is the ultimate goal of Buddhists. Fully dedicated pupils could achieve enlightenment even within one lifetime. The way to reach that was complete obedience. If pupils did not show that, then the teacher-student bond (“samaya”) would be broken and, eg, all kinds of bad things would happen to their families. Witnesses state in the British report that Sogyal’s behaviour led to post-traumatic stress, anxiety, depression, chronic insomnia, hallucinations and suicidal thoughts. Baxter concludes that Sogyal let his students go so far that they were “on the verge of emotional collapse”. Pupils who reported internal abuses received ‘Rigpa Therapy’, named after their organization. According to witnesses, a ‘therapist’ told them that the cause of their problems were family relationships, and not what Sogyal did. Many vulnerable women came to Rigpa, sometimes traumatized because of earlier sexual violence. Three of the international directors, who have been Sogyal’s most faithful followers for decades, are resigning as a result of the report. In the Netherlands, since last year “we work towards a new board”, the chairman Wim Marseille says. The secretary, the Groningen lawyer Daan Meerburg, will retire “within the foreseeable future” after 23 years. Last year the organization started a “transformation process that helps prevent repetition”. Thus Sogyal retreated as “spiritual director”. He is on retreat in Asia and in treatment for colon cancer, writes Marseille. In their statement, the Rigpa boards write that they “take full responsibility to ensure that Rigpa offers a safe environment for everyone”. The boards do not say whether they will actually do something with the recommendations in the report. There was no answer to questions by the NOS. Two of those recommendations to Rigpa are to “take steps to dissociate themselves completely from Sogyal” and to stop contacting him with students. Rigpa’s directors in different countries also have to consider to what extent they are obliged to “report all cases mentioned in the report to law enforcement authorities or relevant regulators”. There is no mention of the latter in Rigpa’s statement. This entry was posted in Crime, Religion and tagged Buddhism, sexual abuse by petrel41. Bookmark the permalink. Pingback: #Rigpa #Leaders Failures and #Sogyal, the unrepentant #abuser | Sally Ember, Ed.D. Reblogged this on En la diversidad.